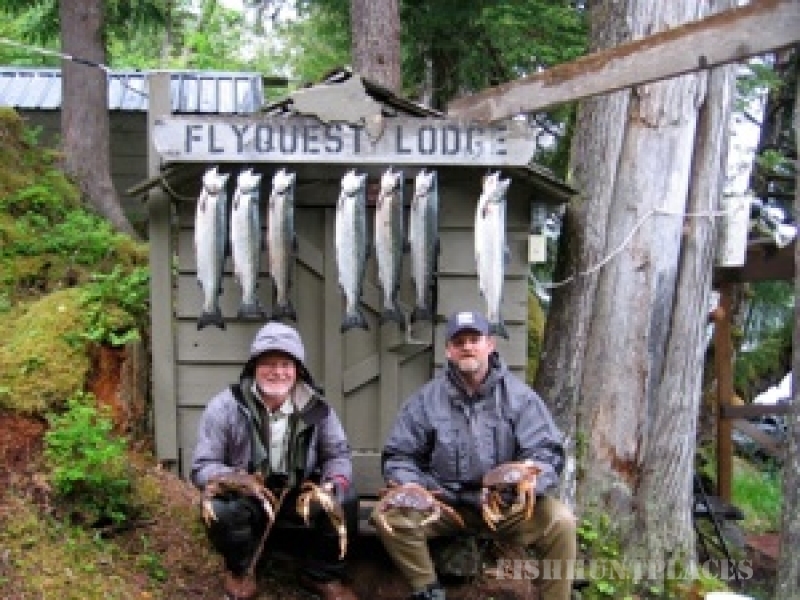 Jim McDonough is a avid hunter and fisherman that enjoys the great outdoors. He has lived in Alaska on and off since 1965. We came to FLYQUEST IN 2005 and started our business. We are having the time of our lives!!!!! Andee is a legend in her own mind. However, I can cook to your hearts content. I will sing you a song if you wish. 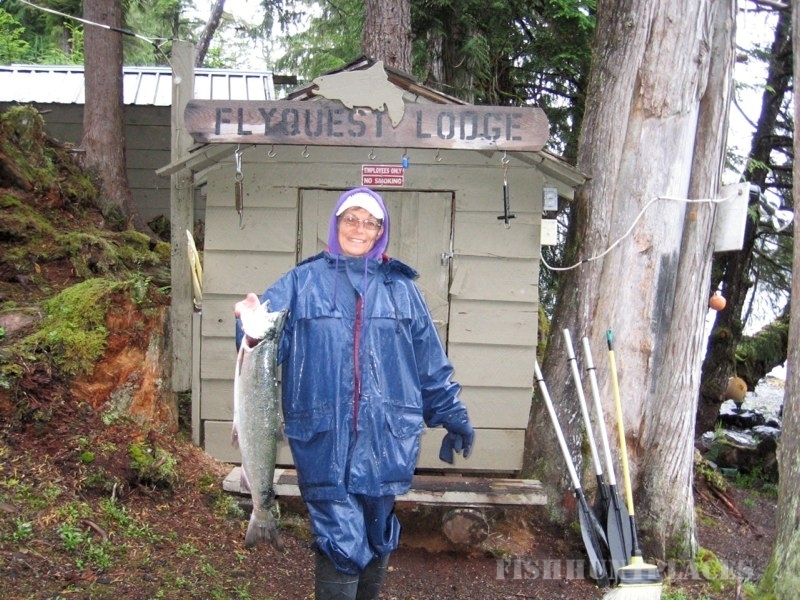 When you stay with us at Flyquest Lodge in beautiful Southeast Alaska, you will see and hear both, the familiar and the exotic! You will see majestic Bald Eagles competing with Gulls, Arctic Terns, Ravens, and others for a meal. Seals and Sea Lions, yes we’ve got them . We are located on the Northeast end of Prince of Wales Island. Our lodge is facing the bay right on the water. 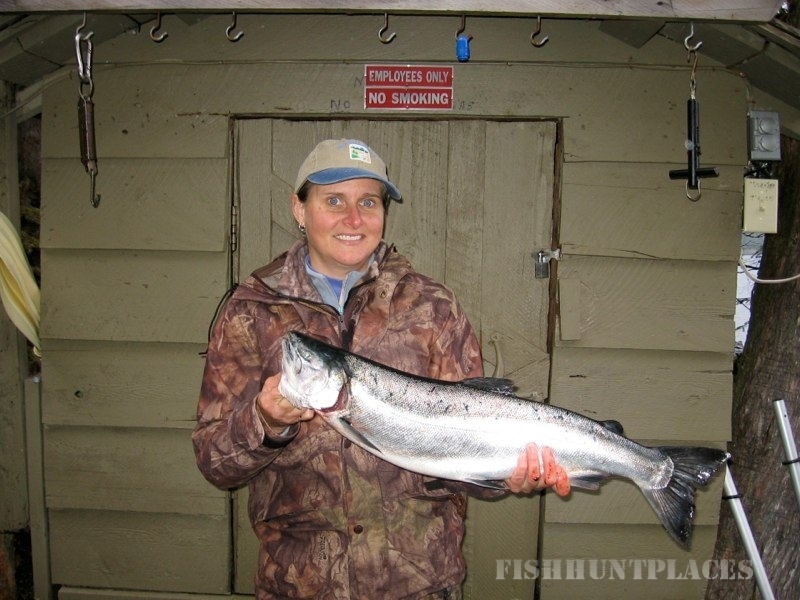 You are only a few steps away to Great Fishing Fun. 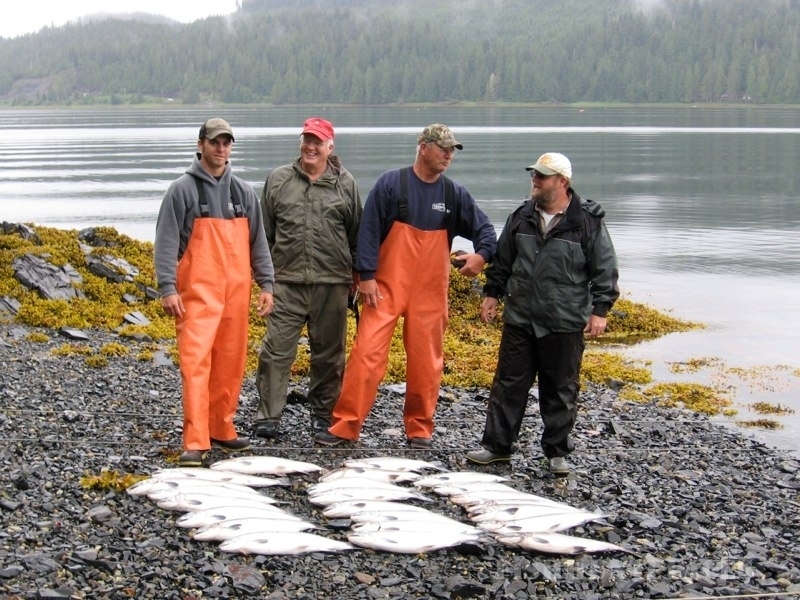 We offer world class fishing for five varieties of Pacific Salmon. 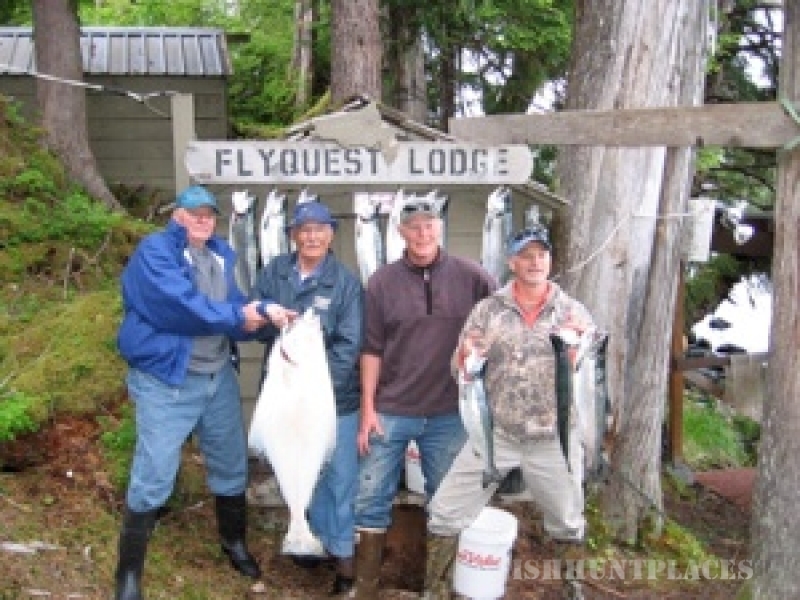 When coupled with a fantastic Northern Pacific Halibut fishery and great bottom fishing, why would go anywhere else? The best time to come here is starting Mid June thru the first two weeks of September.